Wow!! What a wonderful OPEN DAY we had at New Life Centre Saturday, 10 Oct. Thank you to our amazing volunteers, students, donors, supporters, management committee and staff who gave up their valuable time to pop down or help out on Saturday. And what a feast !! Thanks to all for the delicious eats that were so generously donated to make our Open Day a scrumptious affair! Your dedication and support of New Life Centre is overwhelming, and we thank the Lord for you each. To all who came along to see what we’re about – hope you enjoyed it! and coldrinks and some creamy donuts! One of the ladies from the team spoke, so very sincerely, about how pleased they were to be sharing some of Mandela Day with us and how much they admire the girls and what they’re doing, and grateful there is a place like New Life Centre to help. 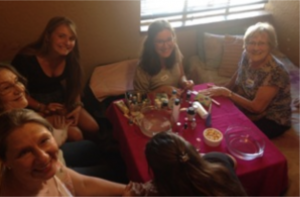 Our social worker, Sunette, explained something about the value of self, her work, our NLC girls and the adoption process. Heather, an NLC resident from a few years ago, shared something of her personal experience of growing up in a single parent household, and some of her choices. And about being recognized and stopped by the adoptive parent of her child at a shopping centre! Her child, who had recognized Heather as her ‘Tummy Mummy’, then asked to have her photo taken with Heather. There were many wet eyes in the room… The team presented us with the rest of their donation – a whole lot of groceries and toiletries! Everything they supplied was not from their employer, the bank, but came out of their own pockets! hearts made by the scholars – of sweeties for each of us, and presented us with a donation that their school made to us as part of their Mandela Day outreach through their ‘Civvies Day’ donations. dancing and gymnastics, and has already had a trip overseas! 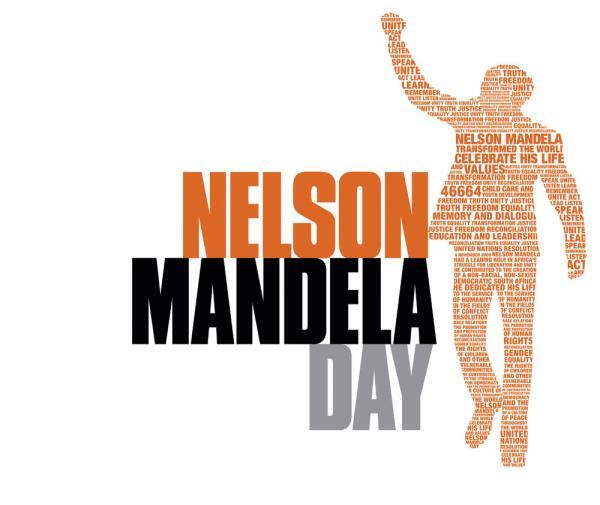 A day of many blessings, a day which was perhaps rather symbolic of Mandela Day, and certainly a testimony of God’s provision, in many different ways, for each one of us. We give Him grateful thanks! understood my choices and started having hope. Perhaps things could turn out better than I expected? Our morning devotions have helped me reconnect with God. And I feel like I’m coming to know Him in a whole new kind of way, maybe more deeply than I did before. Also, I didn’t expect other people to care about me. But here I’ve found that people really do! Like Aunt Barbara and her exercise classes which are very helpful to us. Like Ouma Esme who teaches us how to crochet. I enjoy it so much I feel I’d like to give back to the community through crocheting items for others. I’m still dealing with my situation, my crisis. I’m still healing. But I’ve found love, and hope, and solutions. © 2011 New Life Centre. All rights reserved.